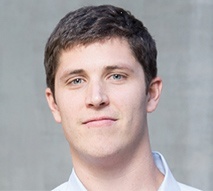 Tim Heyl built a $2 million real estate business by the time he turned 26, and in this hangout we’re going to discuss how he was able to accomplish such a feat. Prospecting and grinding on the phones were Tim’s major strengths in the beginning, but at a certain point he had too many clients to continue to spend his time prospecting. We examine this tipping point in his business and analyze what Tim did to transform his company into a major force in the Texas real estate market with the help of video. “What I want to talk about here for a second is what we do with our 33-touch. I’ve been talking about how for the first three and a half years, they got a handwritten note in the mail and that’s it. I didn’t have the time to go and put all of this amazing marketing together. I finally went to a seminar where I met Frank Klesitz. Frank is one of the smartest people in our industry. He’s a savant at what he does. He’s an amazing guy. What Frank did is he got on stage at this event and he literally did the Vyral Marketing program right in front of us. I realized how simple it could be to actually have a 33-touch if I did what Frank was teaching me. He basically explained to us that we needed to block out 30 minutes once a month with yourself. That’s it. All you’re going to do during that 30 minutes is put your iPhone on a tripod, hit record, and record two 30-second to one-minute videos talking about what’s going on in the market or telling a story about what’s currently going on with one of your transactions. The whole point of this is branding. There are no calls to action, it’s just educational videos to everybody in your database. The idea here is that they will edit it, write the copy that goes with the video, figure out who to send it to, tell you who opened it, clicked it, and watched it. All you have to do is shoot 2 quick videos in 30 minutes. With two one-minute videos, you have 28 more minutes to research what you’re going to talk about, practice it, rehearse it, figure it out, get it right, and make sure you’re not sandwiched in between other meetings. This is a very short period of time to knock out 24 of your 33 touches. On the 1st and the 15th of every month, they will send out this email that will have this video of you talking about what’s going on in the market or giving a tip for a buyer, seller, or homeowner. It will have a blog written with it and a whole deal. The reason I like it is two things. Number one, it’s me. It’s not canned content that someone else wrote, it’s me. I get to deliver my message, whatever that is, or at least just be me for a minute on the video and let everyone see I’m professional and I actually am engaged and passionate about this industry and what I do. That’s it. It’s just a reminder to everybody in your database. I said I’m only going to sign up for a couple months because I’m about to bring this in-house myself and he kind of laughed and said, “No problem. Whenever you want to bring this all in-house, be my guest, but until you do I’d sign up. Here I am five years later and we still work with Vyral Marketing because it keeps being one of those things that until it needs to be my number one priority, I’m going to outsource it. He said, “I want you to bring in your database in.” I said, “Okay, I’ve got a couple hundred people I’ll send over.” Again, he laughed and said, “No, no, no, no, we’re going to get all your LinkedIn contacts, all your Gmail contacts, all your Facebook contacts, all your phonebook contacts, we’re going to get everybody you’re connected with into a database. He helped me do that very quickly. He helped me gather what end up being like 15,000 contacts. So, what happens is like half the people unsubscribe so I’m left with literally like 8,000 people that chose not to unsubscribe. All of a sudden, here I thought I had a couple hundred. No, I have thousands of people. It was really cool. People say, “Well, what’s the ROI on something like this?” This isn’t an ROI activity. This is a branding activity to stay in front of your database. 33 touch is so that when your database thinks about real estate, who do they think of? They think of me. I don’t want them to think about anyone else except for me. This isn’t supposed to be the way that I’m going to crush the next 100 deals. This is supposed to be that when I do call my database and get in front of the people I know, they are fully aware that I’m engaged, professional, and passionate about what I’m doing. I’m consistent and I’m a real estate agent that’s going to take care of them. That’s it. No calls to action or anything. What’s funny is the other day I was teaching this class in Chicago and at the lunch break, I went in and pulled up my phone and I had a message from a guy who I had only met in person once. I was at Chuy’s in Austin one time and I ran into this guy. I knew who he was. He was my high school buddy’s fiancee’s dad, so I knew who he was but I didn’t know him. He was such a cool guy. He just came up and he said, “Tim, I think what you’re doing in real estate is amazing and all the success you’re having. It seems like you are really in your gift zone doing what you love.” I’m like, “Thanks! That’s awesome!” I walk away and I’m like, “Why is he even saying that? What is he talking about?” What I realized is that he was a LinkedIn connection of mine and he’s been getting all my emails! I looked back at the open and click reports and he’s been watching my videos. I thought that was the coolest thing in the world for him to say that and literally that was years ago. A couple months ago I’m at this lunch break in Chicago and I pull up my phone and I have an email from him that says, “Hey, we want to list and buy.” It was $2.5 million of real estate that we went and transacted for him. It was the most unbelievable thing in the world. It wasn’t this database thing that I’m expecting all the time but what it showed was that my extended network, people that know me that I don’t talk to and build relationships with on a regular basis, are at least aware of who I am and what I’m doing on a consistent basis. That’s the key to any 33-touch that you do. It’s about consistency over everything else. With Vyral, I love it that you block out 30 minutes a month, then you send them the raw footage, and everything else is done. It allows 24 of your 33 touches to be consistent. What’s up here is called thedatabasereset.com. This is where Frank wrote a white paper about how to do everything that they do for you for yourself. Frank's perspective is like mine with outbound calling. It’s not hard, here’s how to do it all, and if you’re not going to do it, hire Vyral Marketing until you’re ready to do it.